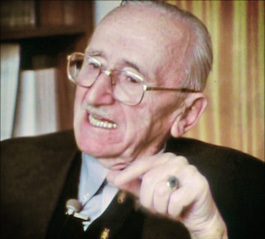 Friedrich A. Hayek was one of the most influential economic philosophers of all time. He received the Nobel Memorial Prize in Economics in 1974. His classic book, The Road to Serfdom, was a groundbreaking book when published in 1944. As a bestseller, this book had an important impact on the world. Because of central planning for the war effort in Britain at that time, leading "liberal" socialists and communist sympathizers such as Sidney and Beatrice Webb (authors of the 1,000 page Soviet Communism: A New Civilization) were promoting big government central planning for post-war England and America. These policies could have left the free world in an economic and social straitjacket. Professor Hayek was the author of 19 books and countless articles and papers. 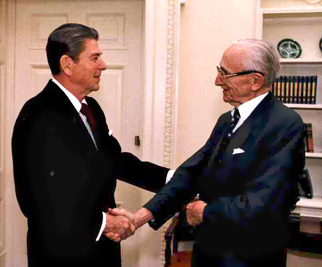 He received the highest civilian medal, the United States Medal of Freedom, from President George H.W. Bush. He taught at the London School of Economics, the University of Chicago, the University of Freiberg, Germany, UCLA as visiting professor of philosophy, and the University of Salzburg. He had important and lasting influences on world leaders and is credited by Milton Friedman as one of the main intellectuals who brought down Totalitarianism and Communism in the former Soviet Union. Many of the advisors and social planners of President Franklin Roosevelt's New Deal (whose failed policies kept the United States in a 10- year Depression), took numerous trips to the Soviet Union and came back with accolades on government planning and control. Hence the New Deal and its stifling economic policies. Eventually these people and their policies were discredited and decades later Hayek's voice of reason and logic was soon to be heard around the world. To this day his books are popular and, recently, The Road to Serfdom was a bestseller again on Amazon. The notion that Socialism and government planning were more efficient and beneficial than free markets and capitalism was a dangerous premise. If this concept had taken hold after World War II in the Western countries then the world today would be very different. Hayek can be given great credit for helping to stem the tide of social engineering by economic planners with The Road to Serfdom. One of his strong arguments was that once you have the government in control of the economic resources then you automatically bring politics and all the prejudices, back door dealings, special favors and evils contained therein into the lives of all citizens. He also showed that if economic planning starts to fail then the natural reaction would be for "better" planning and then entire economic playing field would be in a straitjacket and in chaos. 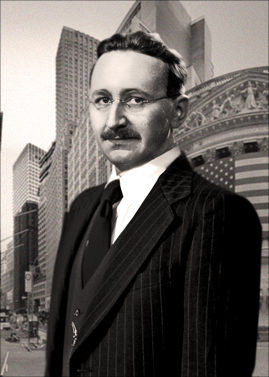 Hayek was a strong proponent of what seems a logical fact (totally lost on social planners and big government advocates): that central planners could not possibly be as efficient as the free market. A few thousand bureaucrats in a Product Control Board couldn't possibly be able to match the billions of thoughts and actions of consumers everyday to determine what they wanted and at what price and quality and quantity. Between the raw product of iron ore and the final product of a steel fender for a car are thousands of decisions from the mine owners to smelters to transporters to fabricators to distributors to the car companies to the consumer. This cannot possibly be planned efficiently by bureaucrats. Hayek eloquently and with self evident truths, simple logic and common sense takes his readers through an understanding of how individual liberty and free markets have actually accomplished more for the poor and downtrodden than any other force in history. He thought that free trade and economic relationships would be a tremendous force for peace and better international relations as goods and services united foreigners in a common goal of satisfying each others wants and needs via trade. Free trade is a more powerful force than armies. He argues that profits are not the result of taking advantage of people or gouging them. Profits mean that free people are telling the producers of those goods that they are satisfied and happy to exchange their money for those goods or services. Profits mean people are pleased, satisfied and content with acquiring what is needed and wanted. Profits are a signal to producers that something is priced correctly and has value, since if it is overpriced or of shoddy quality the producers selling the product would be out of business with no profits. F.A. Hayek wrote many books and gave the world a great contribution of economic thought that went beyond calculations and formulas. He was keenly aware that economics is really the science of the sum of individual thought patterns of billions of people changing their ideas, wants and desires constantly and that this invisible yet real mechanism should not be tampered with. In an age of scarcity and limited resources mankind cannot afford to waste time, money or resources on unworkable ideas of central planning and government control of the means of production. As Hayek eloquently states in his writings, if you centrally control the means of production then you will eventually socially and politically control the individual and totalitarianism will not be far behind.